The Jobe Test (aka The Jobe Relocation Test, JRT or the Relocation Test) is commonly used in orthopedic examination of the shoulder when testing for anterior shoulder instability. It is commonly coupled with the Apprehension Test. The test is best performed with the patient lying supine on the examination table. The arm to be tested is abducted to 90 degrees with the elbow flexed to 90 degrees. The humerus is initially in neutral rotation. The examiner initially performs the Apprehension Test and notes the point at which pain/apprehension occurs. In doing this, the examiner supports the elbow of the patient and, with the other hand holding the wrist, slowly externally rotates the humerus. For the Relocation Test, the examiner returns the arm to the neutral position and performs same movement while applying posterior pressure to the anterior aspect of the head of the humerus / glenohumeral joint. 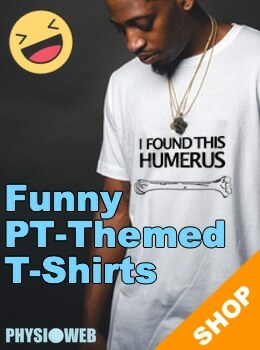 It is very important that the examiner not remove the posterior pressure on the head of the humerus until after returning the patient’s arm to neutral rotation. The Jobe Relocation Test is considered positive if the patient is able to be moved into a greater range of external rotation before reluctance / apprehension is expressed as compared to when there is no posterior pressure exerted by the examiner. The difference in apprehension is considered to be more important than the different in pain as the posterior pressure may cause pain due to compression of the rotator cuff tendons. In that case there is still pain but the apprehension may no longer be present. This test is considered to be very accurate for determining anterior instability of the glenohumeral joint.